In these extreme times, some supposed satire just doesn’t work. Instead of being funny, it seems merely to repeat what is objectionable. I think this video does work, but if anyone wants to argue it should not be here, please do. Many thanks to ck for her comment on this post of Jender’s. Google’s controversial project to digitize the world’s literature. It looks like a wonderful idea, especially to someone like me who doesn’t expect to lose royalities. They do, however, invite reviews. 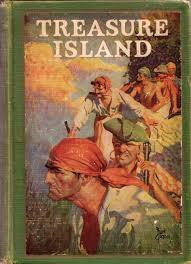 Below you’ll see the two reviews for the classic, Treasure Island. I’m personally looking forward to when museums catch up and post viewers’ reactions next to the art work. News Flash: Women Not Stupid! McCain put a woman on the ticket! That’ll get all the women voting for him, right? Because that’s what we do– mindlessly support other women with no attention to boy-stuff like actual positions on issues. But oh no! Maybe it’s not working out that way after all! Women say Palin choice makes them less likely to support McCain. How mysterious: they actually care about like, equal pay and control over their own bodies. And maybe even the Iraq war. Or the economy. Or the environment. Nah, can’t be that– we must just not yet have realised she’s a woman. When will there be a US election destined to end with either an African-American President or a woman Vice President? 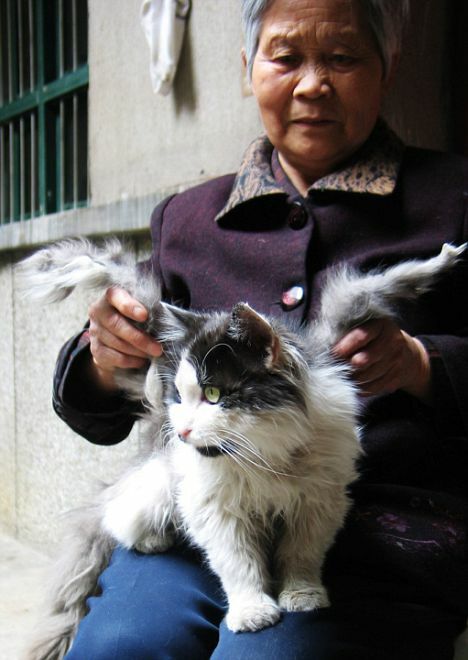 When cats sprout wings, apparently. The Daily Mail assures us that “Experts claim there is nothing angelic or magical about the condition”. Thanks, Mr Jender!